Taking inspiration from the layouts collected through aesthetic research, and considering the photography collected to form the content, I sketched out initial layouts which could be adapted/used throughout the look books. Furthermore, taking inspiration from the aesthetic research, I wanted to include several pages which include more than one image, or broken images to add further depth, dynamic and aesthetic value to the spreads. 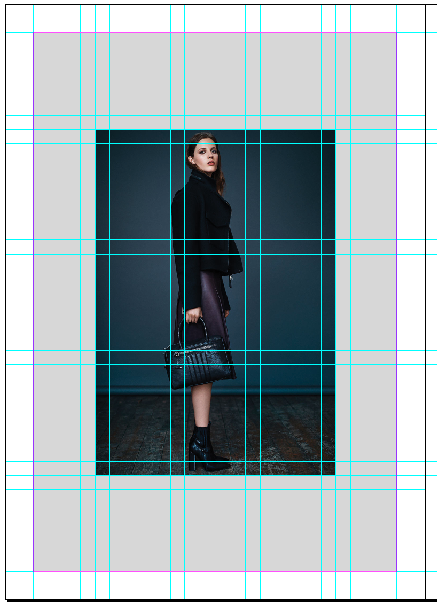 Below shows the grid system set up for the look book. 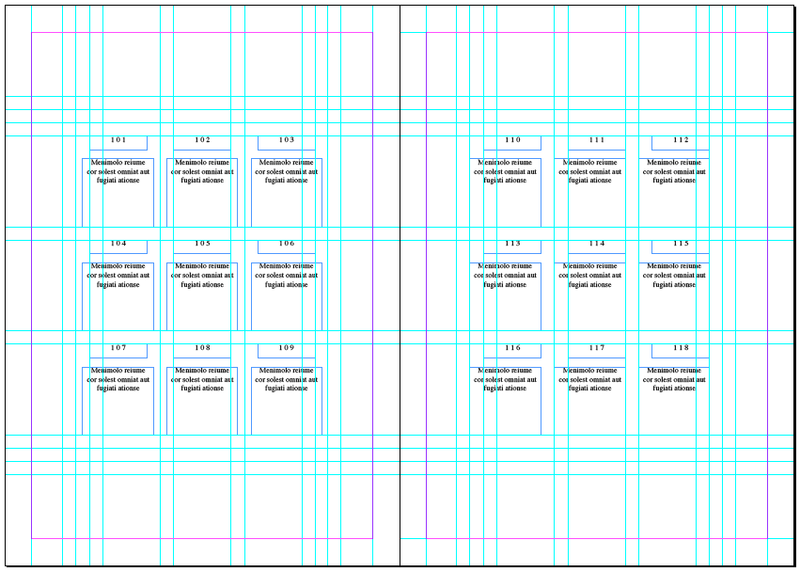 The grid has been set up with 5 columns and grids, with a 10mm margin. 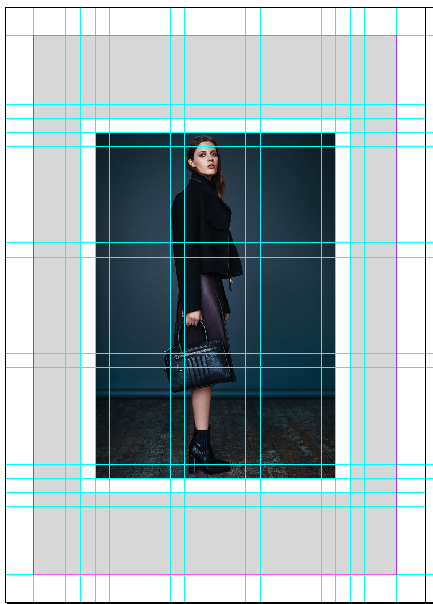 In addition, every 0.5cm from the centre rectangle a further guide has been placed in order to gain a more dynamic grid for interesting layout design and image placement. From here, I began placing in the photography within the centre gird. By having a more complex grid structure, I am able to be more playful in the position of imagery creating a visually pleasing aesthetic which relays the detailing and quality of the products. Above: Brand colour used for additional detailing behind the image. Only one photo has been used here allowing a connection between the model, photograph and the viewer. 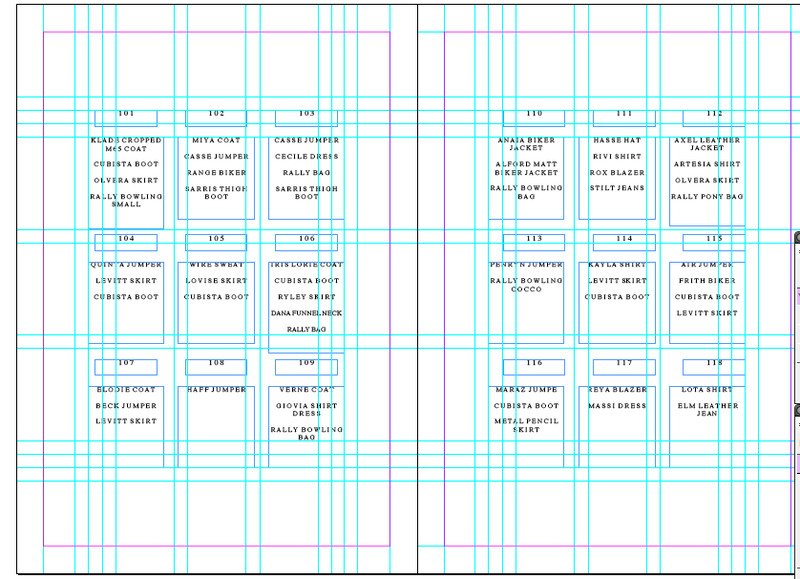 Above: Contrasting page layouts. 'Look Number' has been placed at the bottom left of each image, however appears bottom heavy, so will be altered. 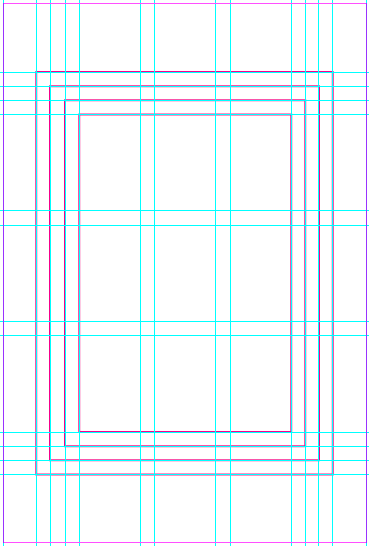 Above: Additional white border placed to break up the image/block colour. Above: I was unhappy with the starkness of the grey background, and felt it detracted the eye from the image itself. I decided to experiment with the image and break it up into pieces, focusing on the detail of key items featured. Each 'look number' is to be placed vertically and centred on the left or right hand side of the photograph. 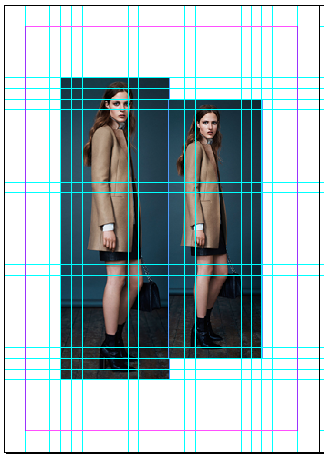 Above: Grid system and structure for the 'look' references at the end of the look book. 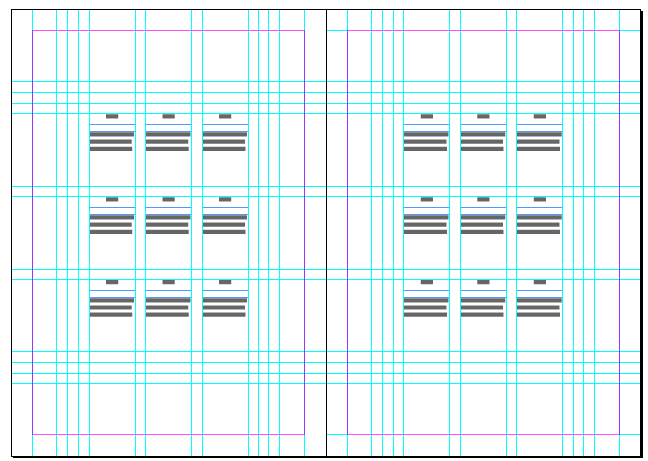 The same type setting and grid system has been used, keeping the type within he centre grid in three columns and rows. This creates further continuity, structure and aesthetic value to the pages featuring the most dense pieces body copy. 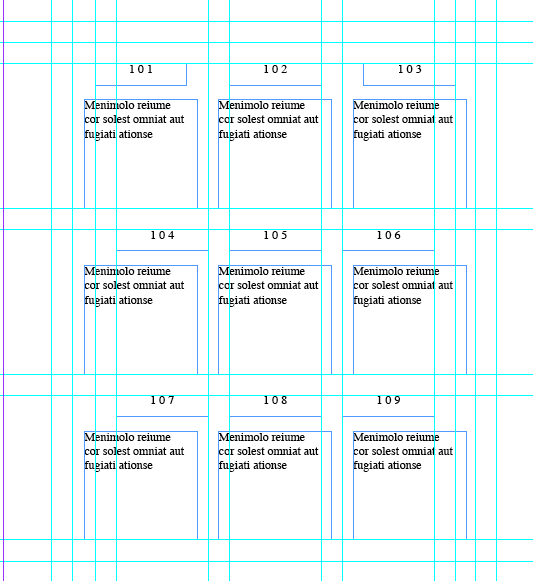 Above: I was not overly happy with the gridded type boxes when the body copy was placed due to unevenness across 'looks' and therefore boxes, whilst needing a 6pt type to fit inline. 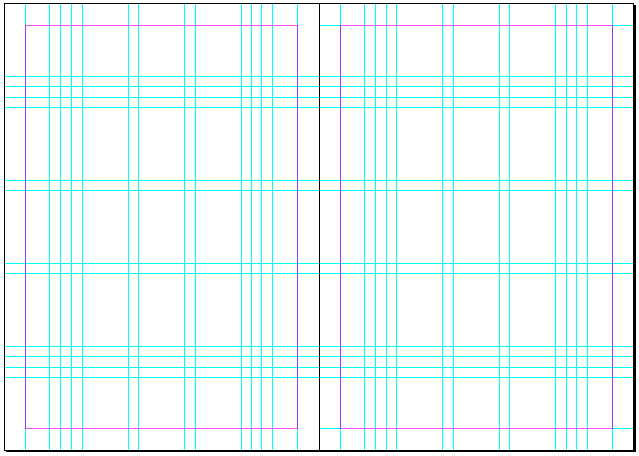 Therefore the layout was altered to rows again 0.5cm apart constrained within the centre grid. Each 'look' number also appears as it does next to the photograph in terms of size and format. Above: For the cover, a steel grey stock will be used that is slightly larger than the look book itself, with a black gloss vinyl logo for contrast as seen above. This will be in the same position of the 'look numbers' on the inner pages. The inners will be laser printed on 100gsm matte stock. 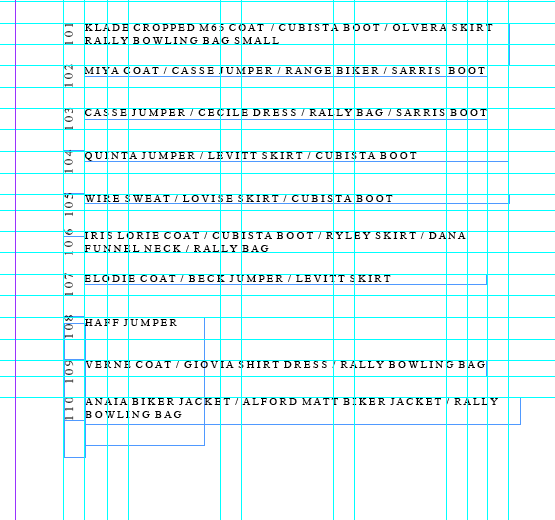 Below shows 3 pdfs for the womenswear look books, showcasing the development, followed by the menswear look book layout almost echoing the previous.